This aptly named beautiful blue arrangement will be sure to delight your recipient for any occasion. The perfect bouquet to add a touch of class and vibrance to any moment, whether it be for a new mom, a celebration of friendship, or a congratulatory party. 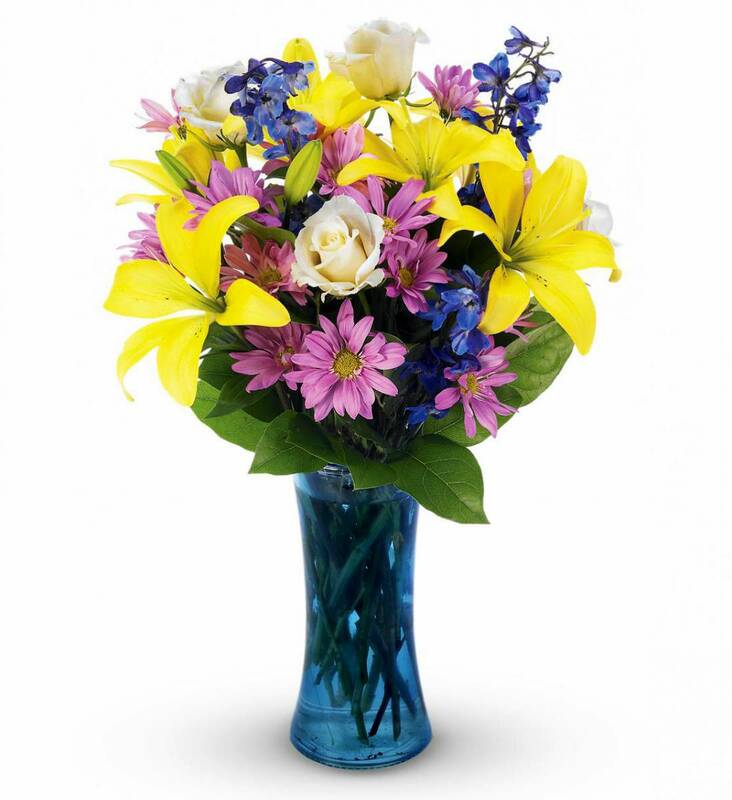 Striking yellow lilies and white roses will be sure to brighten your recipient's special day. 02/17/2017 2:47PM thank you AVAS! !— Angelica F.
02/17/2017 2:20PM one of my favorites. sent to my daughter at college— Helen P.